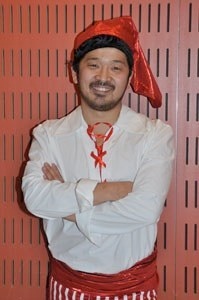 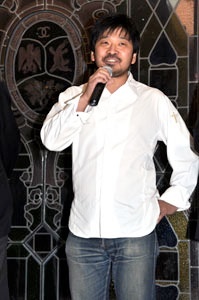 Chef Keisuke Matsushima, the most Japanese of all the Niçois! 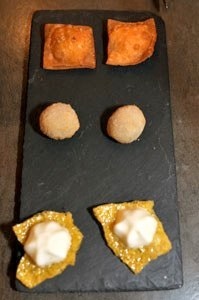 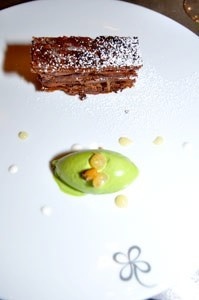 Like all arts, gastronomy is in constant evolution. 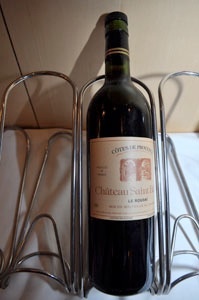 From time to time, a chef gets rid of the deadwood and dare blend influences on the basis of well-known products from local traditional terroir and this product unclassifiable dishes. 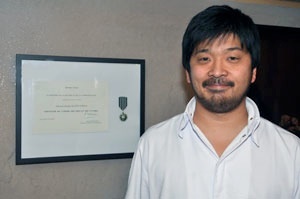 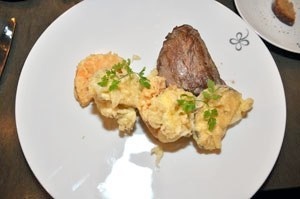 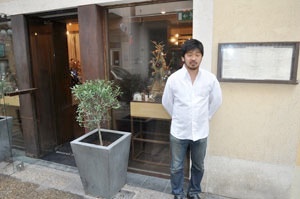 It is this freshness and innovation that brings the young starred Japanese chef Keisuke Matsushima who just celebrated the tenth anniversary of its first restaurant in Nice, the "Keisuke Matsushima" rue de France, the very day he celebrated his 35th birthday. 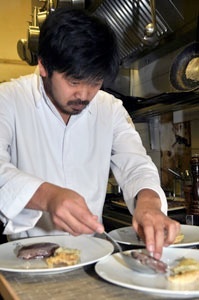 Motivated by curiosity and passion for France and its gastronomy, "Kei" arrived in France at the age of 20, without speaking the language, without support or ties. 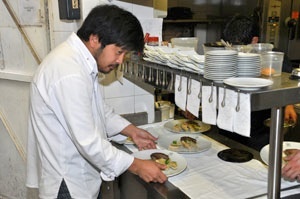 To realize a dream he had from the age of ten - open a gastronomic restaurant in France - he learned the classics of French cooking at the Tokyo Tsuji school and took his first steps in restaurant service at the " Vincennes " in Shibuya in Tokyo. 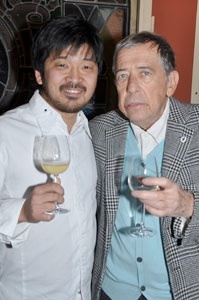 He began a tour of France one of the great restaurants and vineyards, and experimenting with the most prestigious cuisines of the greatest chefs like Regis Macon (Le Clos des Cimes), the Pourcel brothers (Le Jardin des Sens). 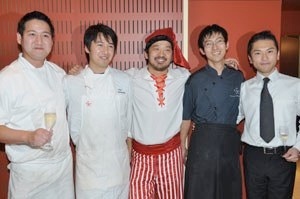 Fallen in love with the Nissarde cuisine and its abundant and diverse sun-drenched Mediterranean products, in 2002 Kei realizes his dream in Nice, which reminds him of his home region, with sea and mountain in addition to its douceur de vivre, as a first restaurant, the "Kei's Passion", with seating for for 22. 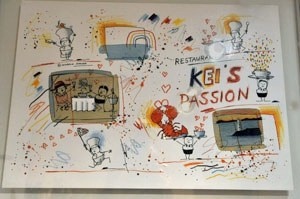 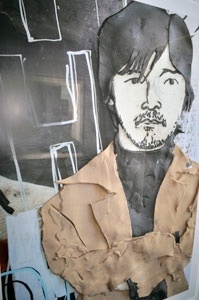 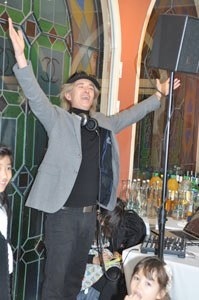 Kei's Passion grew into the restaurant "Keisuke Matsushima". 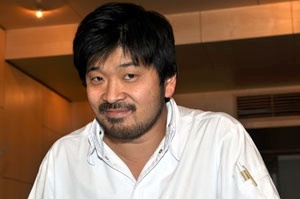 In 2006, three years after its opening, a Michelin star rewarded his work, making him the first Michelin-starred Asian chef. 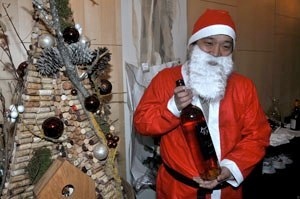 A distinction renewed each year until today. 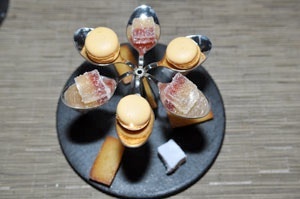 The adopted son of the Mediterranean provides the best of the Pacific touch, revisiting and sublimating the gastronomy of the region. 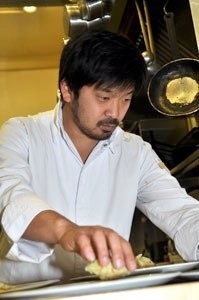 Rue de France, the restaurant Keisuke Matsushima is opting for an uninhibited gastronomy, perfectly blending flavors from the terroir dishes and subtleties of Japanese cooking. 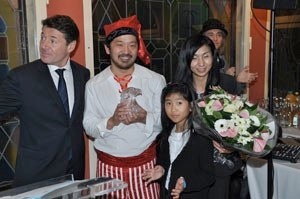 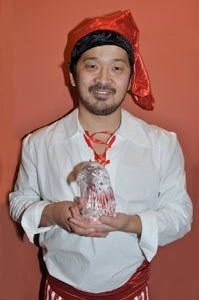 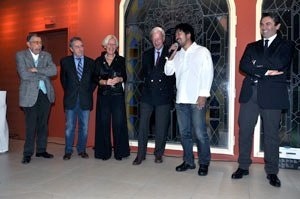 With his star obtained in Japan, the chef is now part of the rising stars of gastronomy. 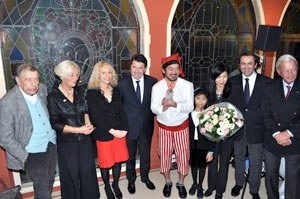 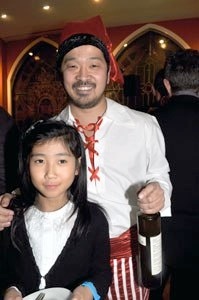 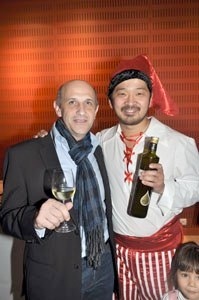 Gault & Millau also honored Kei's talent by evaluating it three toques out of five, the highest rating in Nice. 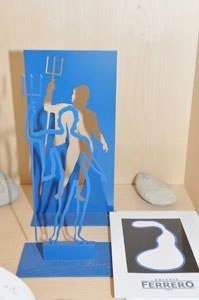 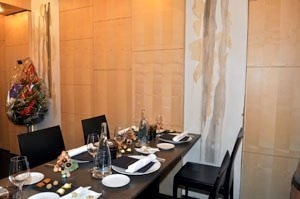 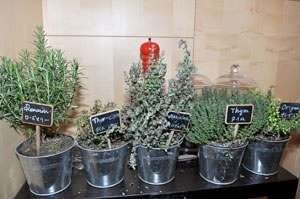 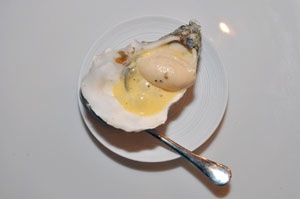 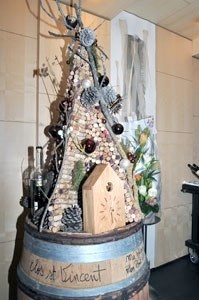 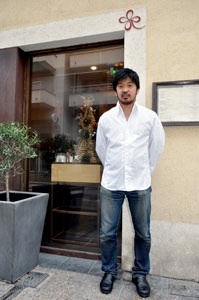 Rue de Gubernatis, his second restaurant, "Le Saison", is deliberately claiming that "JapaneseMediterranean" gateway. 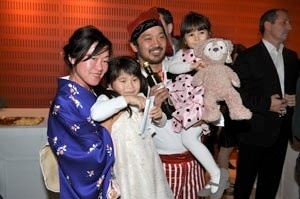 An exciting fusion of Japanese family food based on fresh local season products. 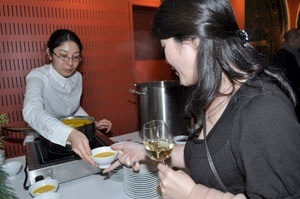 Discovering his Japanese style rockfish soup or his pig with ginger captivates the gastronome, proving that gastronomy still knows to surprise on the upside. 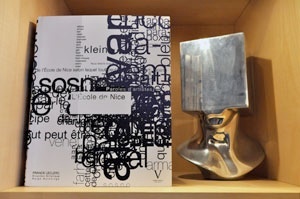 Finally, the latest, that just opened its doors on Rue de la Buffa, the Bistrot "L'Ecole de Nice", aims to revisit the Nice classics with the delicacy of the paw of the Empire of the Rising Sun. 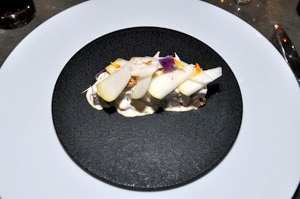 A wealth of inspiration, Kei will unearth forgotten culinary traditions forgotten at the source of the Duchy of Savoy to surprise again. 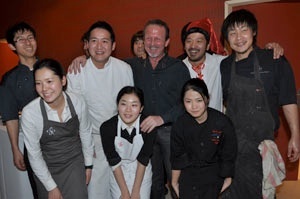 L’Ecole de Nice boasts a culinary-cultural experience, featuring a sound designer, Marc Panther, Nice composer well known in Japan, who re-interprets in his way the County's popular standards. 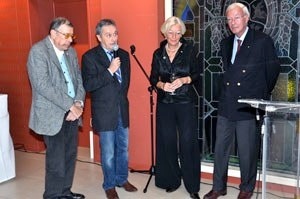 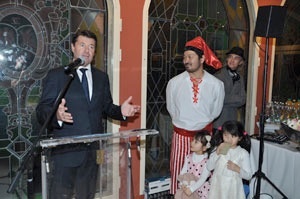 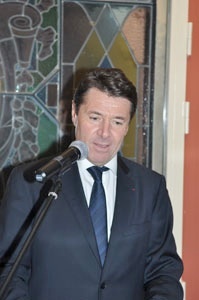 On the walls, Guillaume Aral, director of the Galerie Ferrero, pays tribute to artists of the Ecole de Nice who are proudly bearing the colors of the city abroad. 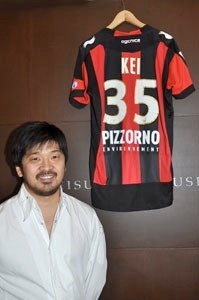 In return for Kei's friendship for Nice artists, the artist Sosno has designed a "square head" in tribute to the vision that inspires Kei. 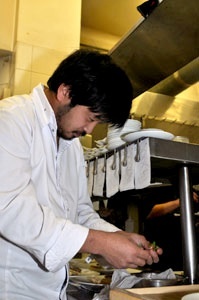 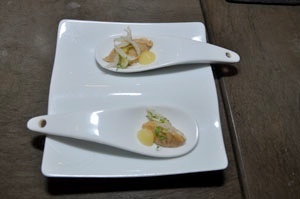 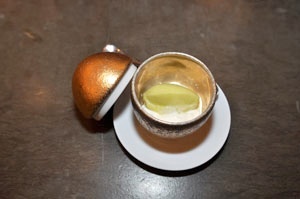 It will appear on the on the menus bearer of the restaurant Keisuke Matsushima. 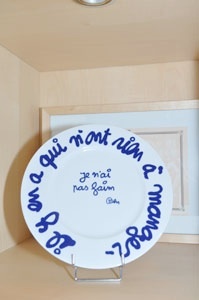 "I do not cook so much to have people taste as to unite and gather" gently admits that slanted-eyes Petit Prince. 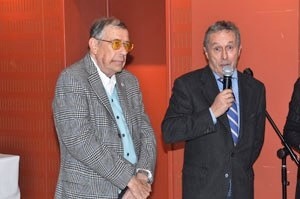 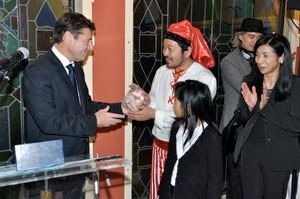 Last year, the Minister of Culture and Communication, Frédéric Mitterrand presented him with the medal of Chevalier in the Order of Arts and Letters, and was paying tribute to his "mind of diversion that so singularly convenes culinary traditions of Japan and the Mediterranean." 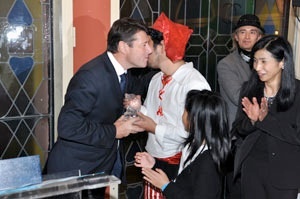 "Do you accept me?" 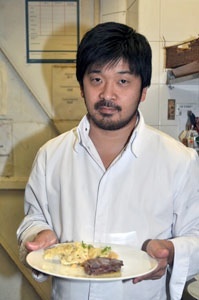 Kei asks humbly to the Nissarde cuisine regulars. 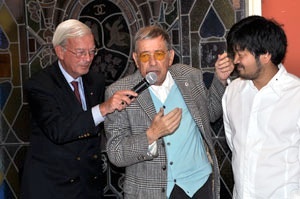 Not only is he accepted, but widely praised for his authenticity, kindness and constantly renewed flavors ! 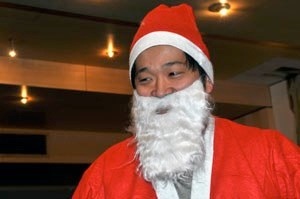 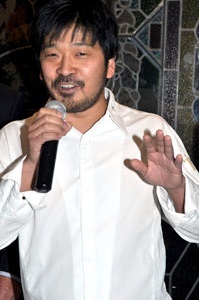 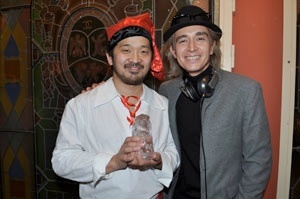 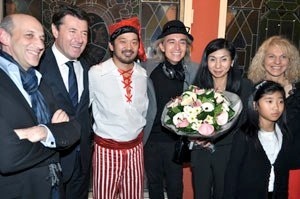 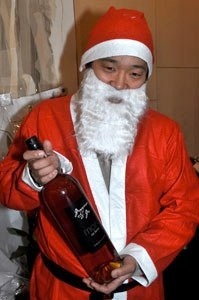 After welcoming his guests dressed as Santa Claus and offering a private lunch at the "Keisuke Matsushima", Kei treated his guests in the evening at the Château Crémat on the hills of Nice, at a birthday celebration that brought together many personalities and local chefs friends. 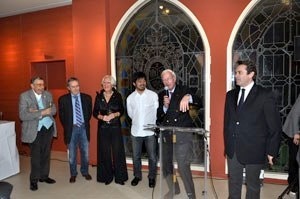 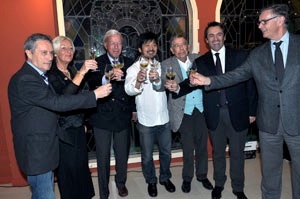 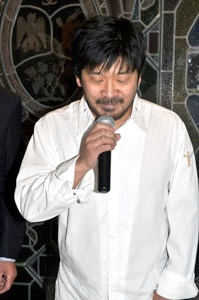 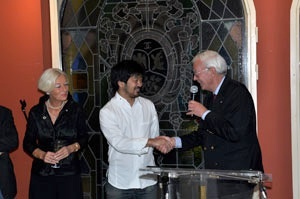 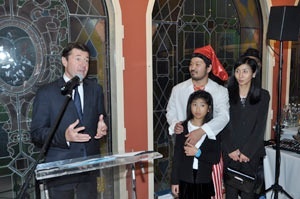 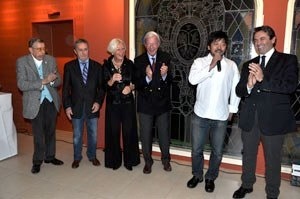 Surrounded with his family, Château Crémat owner Cornelis Kamerbeek and wife Jarmila, and Olivier Bettati, Nice mayor’s assistant, Keisuke Matsushima told his joy of working and living in Nice and thanked all those who helped him to succeed. 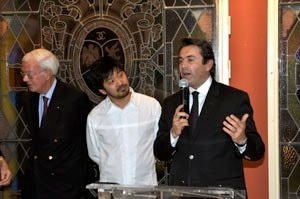 Mr Christian Estrosi, Deputy Mayor of Nice, presented Keisuke Matsushima with the Crystal Eagle, symbol of the city of Nice, that honors and rewards deserving citizens.